Do not machine wash and iron on the printing; hand wash only. 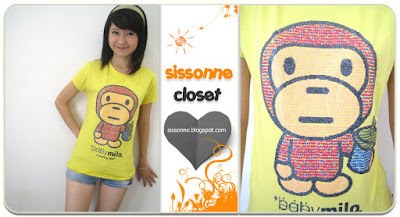 Free size, suitable for S/M sizes. Congrats Hippo. 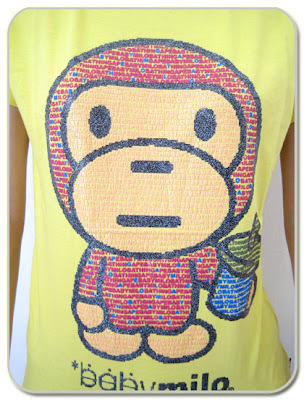 Green Mosaic BabyMilo tee shall be yours for RM 24. Congrats Wai Kit. Red Mosaic BabyMil o tee shall be yours for RM 24. Congrats Yaya. 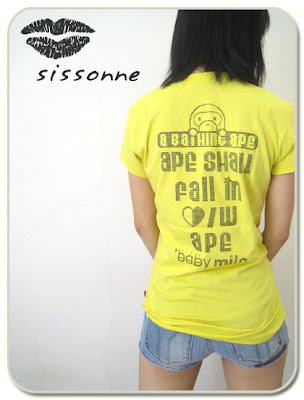 Yellow Mosaic BabyMil o tee shall be yours for RM 24. Congrats Aileen. Brown Mosaic BabyMilo tee shall be yours for RM 24.